At the Digital Society School I direct research in the Digital to Physical track. This means I work closely with our Digital Transformation Designers (as we like to call them at them) on their various research projects. Last year, we decided to submit a paper for each of the DTD projects of last semester to the CHI’19 Late Breaking Work track. I was absolutely thrilled to learn that all three papers have been accepted! We’ll be sharing our work on sustainable food production at home, digital tools to aid ex-convicts in their resocialization process, and participatory feedback for smart buildings in Glasgow this May! Last month I visited the Brave New World conference in Leiden. 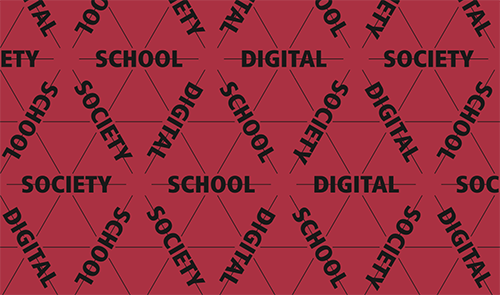 I shared some of my insights in a medium post for the Digital Society School here. I am not sure whether it is a good sign to start every post with a sentence akin to: “sorry, I’ve been busy and this has been a ‘draft’ post for a few weeks now”, but anyway, big personal news to announce: after having completed my PhD and a postdoc position at HMI at the University of Twente I have accepted a new position at the Digital Society School in Amsterdam as senior researcher. I will be heading the research in the Digital to Physical track there. It is not without a hint of sadness that I will be leaving the amazing place that is HMI. I am incredibly thankful to all the wonderful people I’ve met there and collaborated with throughout the years. I am sure future collaborations are on the cards! At the same time change is exiting and invigorating and I am very happy to join the DSS! What has me especially excited is the DSS’s dedication to researching and designing technology with an explicit focus on its potential benefits for society. This is exemplified by the DSS’s commitment to the UN’s sustainable development goals. As senior researcher I will be working with a group of post-master trainees as well as students and professionals that make up the track’s projects each semester. I will further develop my line of research on social communication through physical interactions at the DSS while at the same time exploring related topics of research, such as tangible interaction design and interactions in physical spaces. One of the things I have been thinking about more and more as 2018 progresses is the importance of making an effort to understand the perspective of others. 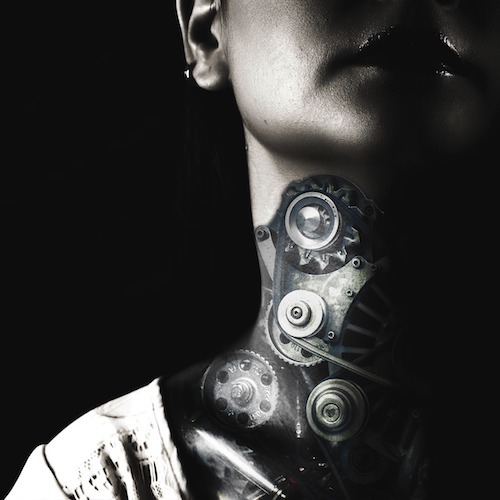 Not just in general, but specifically where human-technology interactions are concerned. I wrote a guest blog post about related considerations here, but I have also engaged with *gulp* the philosophy department at our university. In fact, we co-organized a workshop on intimate technology at the Philosophy of Human Technology Relations (PHTR) conference. Last April I was fortunate enough to be given the opportunity to co-organize Reshaping Touch Communication, a workshop at CHI’18 in Montréal. Among the organizers was the team of the IN-TOUCH project headed by Carey Jewitt of the UCL Knowledge Lab. In the IN-TOUCH project Carey and her team investigate how touch technology can reshape touch practices in society. If you are interested in haptics and touch at all do keep an eye out for more from this fantastic project! It was an absolute pleasure to work with Carey and all the other organizers of the CHI’18 workshop. Carey asked me to share my perspective on the workshop in a blog post for the IN-TOUCH website. You can read it here. In a few weeks time we’ll be presenting some very nice student work at the British HCI conference in Belfast, UK. Our full paper, Virtual Nature Environments Based on Fractal Geometry for Optimizing Restorative Effects, describes work conducted by Marc van Almkerk on the use of fractals for creating restorative virtual nature environments. 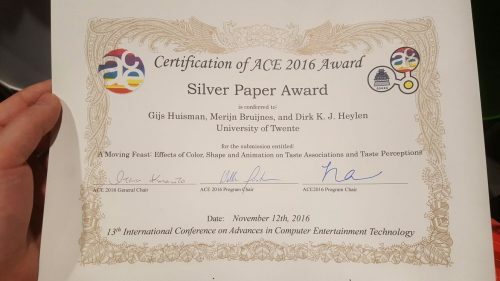 In the Work in Progress paper, inCrease: an Approach for Particle Enhanced Soft Composite 3D-Printed Tactile Displays, we outline explorative work by Marc van Almkerk, Casper Kessels and others, on the use of 3D printing techniques for creating tactile textures. Come join us at CHI 2018 during our workshop, initiated by UCL’s InTouch project, Reshaping Touch Communication: An Interdisciplinary Research Agenda. The call-for-papers can be found below. As the last post before this one shows, I obtained my PhD! My thesis can be found here and there is still a limited number of physical copies (with special soft-touch cover!) available for those interested (get in touch!). I started working as a post doctoral researcher at the 4TU Humans & Technology Research Centre. The centre is a collaboration between the four technical universities in the Netherlands and focusses on researching human-technology interactions. At the centre I continue my work on haptics and social and affective touch. Since the beginning of 2017 I have also been working at a start-up I co-founded, called House of Haptics. We had a successful campaign on Kickstarter and, despite a few setbacks, we are close to launching our first product, HEY bracelet. More news on this will follow as we get closer to launch. In the mean time keep an eye on heybracelet.com! 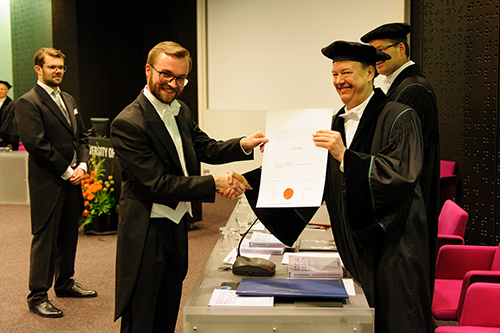 I have also joined the University of Twente’s Design Lab as a Research Fellow. The Design Lab is an exciting environment meant to foster interdisciplinary collaboration between science, business and government with the goal of tackling societal challenges. I will be making a contribution to defining the Design Lab’s research agenda. I also worked on a European project proposal which, unfortunately, was not accepted and I worked on a touch-focussed proposal that is likely to be accepted. Mysterious, I know; more news soon! It has been a very long time in the making but my survey paper “Social Touch Technology: A Survey of Haptic Technology for Social Touch” has finally been published. You can find it here. Together with Carey Jewitt, Sara Price (of UCL’s InTouch project), and others I have worked on a CHI 2018 workshop proposal. The proposal was accepted and I will be sharing the call-for-papers soon! It has been a while since the last update but I have a rather good excuse: last Friday, on the 24th of Februari, I successfully defended my PhD dissertation! My dissertation, which is titled “Social Touch Technology – Extending the reach of social touch through haptic technology“, is the culmination of five years of work on haptic technology for social and affective communication. It has been quite the journey and I am extremely grateful to everyone who has been involved in the research!